Because fuse ACC is used for drive recorder, I did ETC power extraction with this. Originally, just click while connecting. It was easy and I was able to shorten the work. This review is about item#18732586. We purchased for the purpose of use of Nbox, but were 24 pins instead of 20 pins. It is important not only to refer to the product description but also to check the product compatibility before purchasing. It can be used for 24-pin CX-3 initial type and DJ Demio initial type. Note that it may be 20 pins depending on the year. 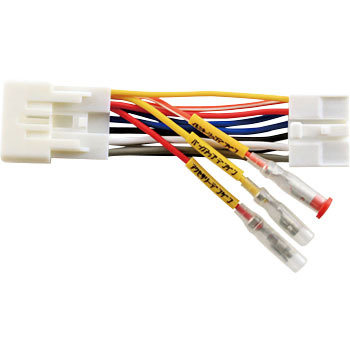 When processing the wiring, it can be used for interrupting the amplifier between the vehicle and the speaker. It is an advantage that you do not have to cut off the wiring on the vehicle side. This review is about item#18732595. This review is about item#18732577.